Weather officials said that many holiday travelers were stuck at airports on the final day of Thanksgiving weekend, this after more than 600 flights were canceled due to an incoming blizzard in parts of the Midwest. 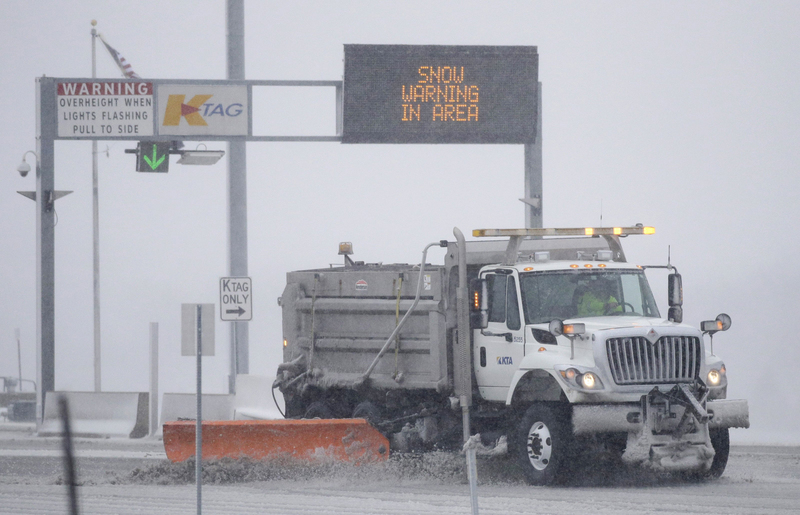 According the National Weather Service., blizzard warnings were issued in areas stretching across northeast Kansas to Chicago, with snow already falling in some regions including Kansas, central Missouri, southeast Nebraska and southern Iowa. The storm was bringing winds from 30 to 35 miles per hour, with gusts of up to 45 to 50 mph. Kansas and Chicago were likely see “high impact” blizzard conditions later on Sunday, and snowfall totals were expected to be 6 to 12 inches across those areas. About 613 fights headed to or from the United States were canceled, most of which were flights departing or arriving to Chicago O’Hare International Airport and Chicago Midway Airport, which combined saw a total of about 425 flights canceled. At Kansas City International Airport, about 102 flights were canceled.